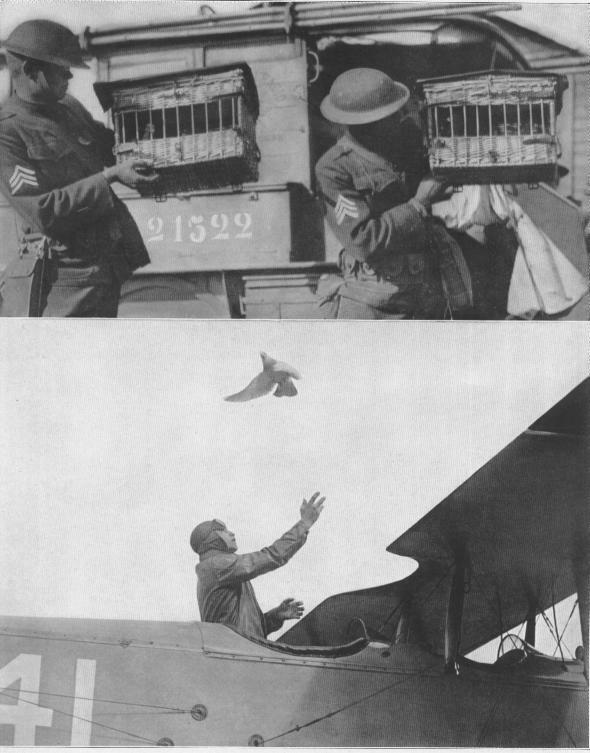 TAKE THE MESSAGE BACKHere are two members of the Signal Corps with homing pigeons ready for maneuvers at a corps "school" in France. "They may get me," says the flyer over the German lines, as he releases a carrier pigeon from his plane. "You are a smaller bird and have a far better chance than I have of getting safely back to the base."